All Trenton homes currently listed for sale in Trenton as of 04/25/2019 are shown below. You can change the search criteria at any time by pressing the 'Change Search' button below. "Your own little peace of heaven on 11.02 acres in Trenton. This 3 bedroom and 3 bath home offers serene views and has been beautifully updated. The eat in kitchen offers a large island, double ovens and a beautiful adjoining dining room with french door. The living-room is large enough for a second dining area. The master suite has a cozy stone fireplace, master bath with oversize walk in shower and private front screened in patio. 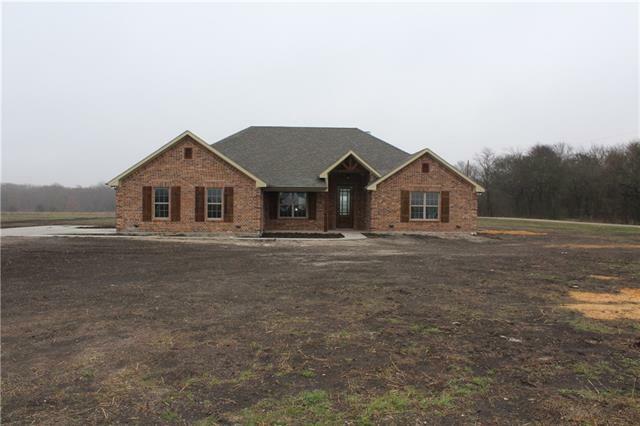 The game room and in ground pool will keep the family happy no "
"Hard to find property, just under 4 acres, fenced for horses or livestock, workshop with electric commuting distance to the metroplex & close to McKinney.2014 home, barn 24x48 built 2018, back yard & pasture fences installed in 2018. 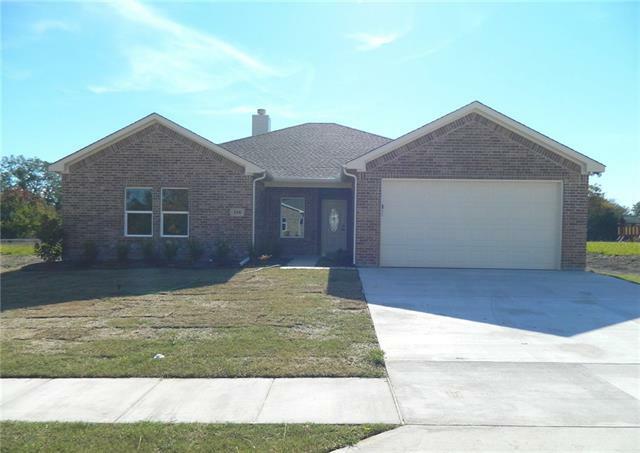 Home has an open layout, beautiful granite counter tops throughout with stainless steel appliances, custom cabinets, 4 bedrooms (split bedrooms),master has 2 large walk in closets, 2 full baths, one half bath,separate laundry room. Garage has a sink & side entry. 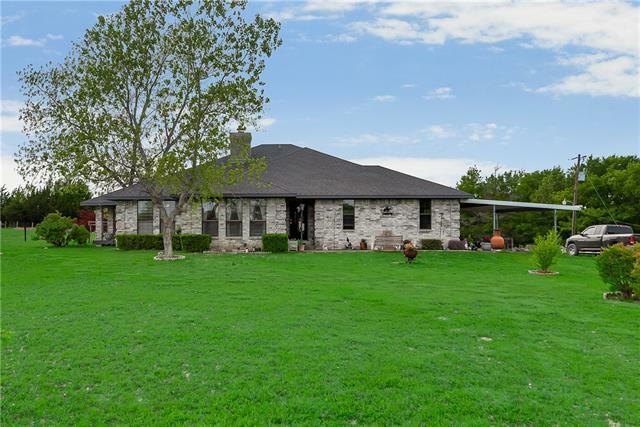 Co"
"Charming 3-2-2 ranch style home on 3.3 acres with pipe fencing. Open to family room, light bright kitchen features built-in microwave, Corian counters, breakfast bar and recessed lighting. Family room has ceiling fan, brick fireplace with gas logs and chair rails. Master suite includes tray ceiling, jetted tub, large shower, dual sinks and his & hers closets. Large utility room with BI cabinets and folding counter. 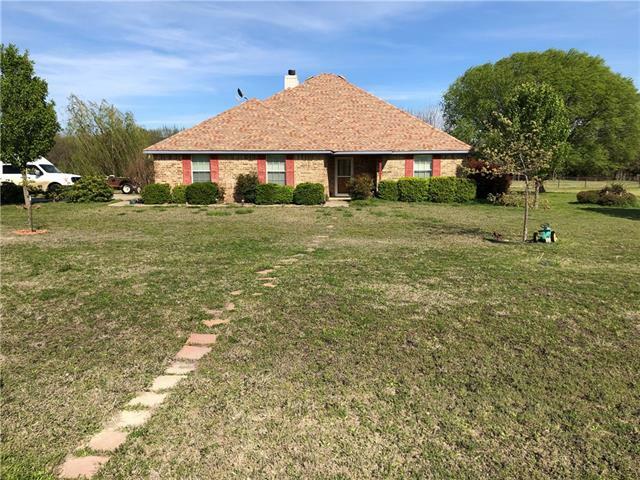 Nice size covered patio, over-sized garage, sprinklers front & back, landscaping "
"Beautiful property tucked down in a small subdivision cul-de-sac. This property has about 5 acres of thick trees with a creek and pond. Out of city limits. New granite counter tops, outside painted, aerobic system recently pumped, foundation stabilized, fenced in area, skylights and much more. Come and enjoy the peaceful living in the country." 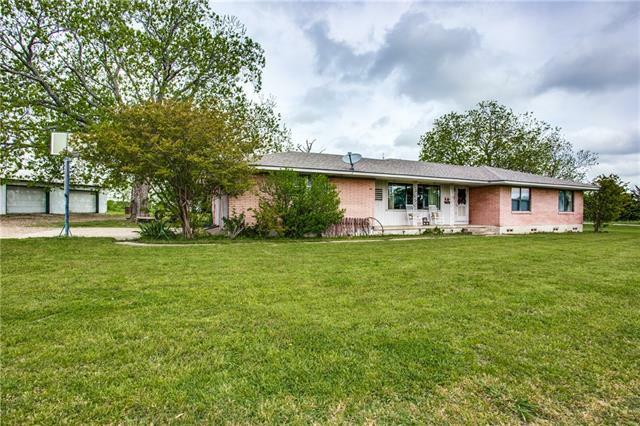 "Easy access to Hwy 121 and just outside of Trenton in the country. 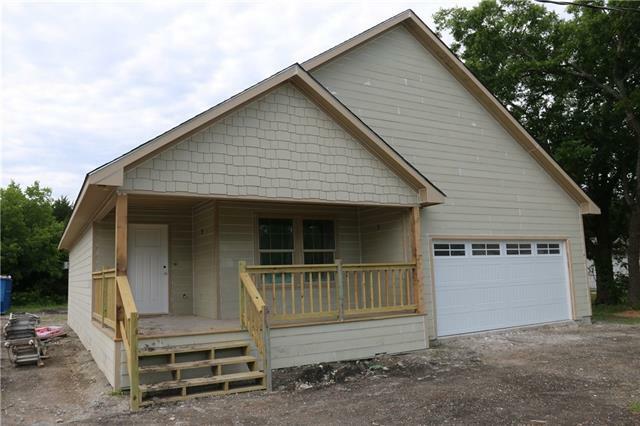 Home features metal exterior with beautiful wood slat ceilings and wood burning stove. Home sits at the top of the hill with a nice view in all directions. Property is cross-fenced with another high area just waiting for a second home. There is also an approx. 3000 sq ft barn that has many uses for the family. Come enjoy the peace and quiet of the country relaxing on the front covered porch. Then move to the trees and hammock and"
"Amazing corner lot!! 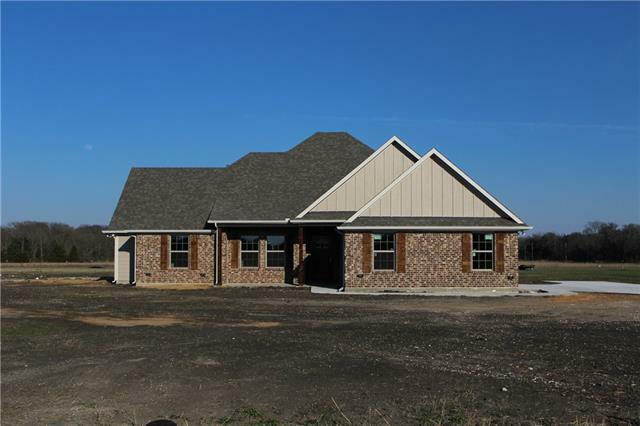 Brick single story New Home 4 bedrooms 2 bathrooms 2 car garage settled on 1.65 acre. Spectacular kitchen with custom oak cabinets and beautiful countertops spacious breakfast nook, carpets in all bedrooms and tile at the wet areas, this house features a cedar mantle wood burning fireplace with a gorgeous back patio, upgraded lighting features and ceilings throughout the home. Not HOA !!! Ready to move in !!!" 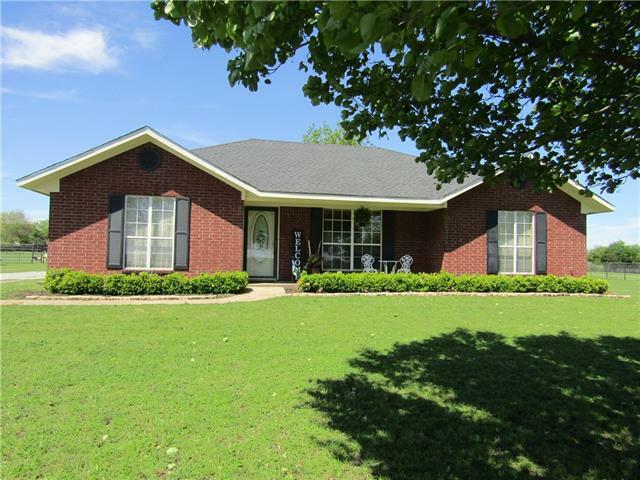 "This brick home has a tree-lined drive with additional trees in the back. 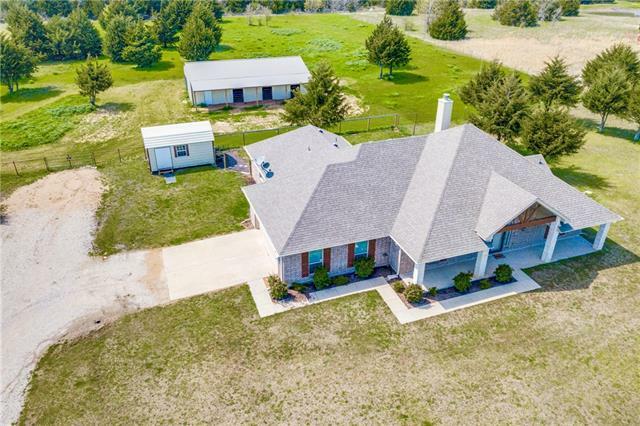 Sits on over 3 acres and has a 1050 sqft. metal shop gravel floor with electricity(110V and 220V), detached carport, and storage shed. This property is leased through January 31, 2020." "Seller Motivated ! 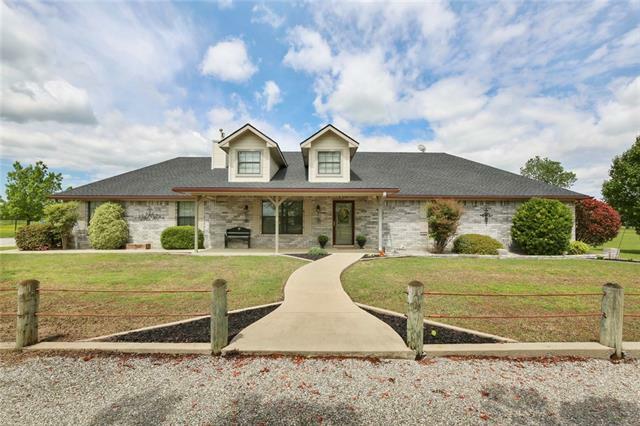 country living settled on a 1.51 acre lot 10 ft ceilings with crown molding, engineered wood floors with a tiled entrance equipped with a wood burning fireplace and a cedar mantle completely tiled showers, custom stained oak cabinets with granite countertops in the kitchen and huge walk in pantry, ceiling fans throughout the house with special lighting in the front, walk in closets in every room with a respective his and her closet in the master bathroom. 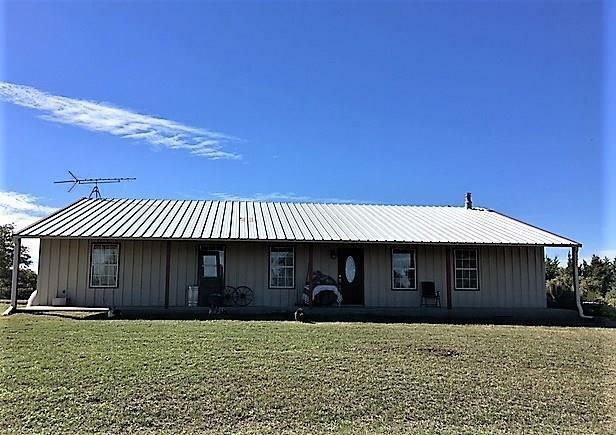 Huge Front and backya"
"Lovely 3 bedroom, 2 bath home on 5 acres, with 60x70 barn and loafing shed. Granite in kitchen and bathrooms, fireplace,blinds, ceiling fans, dishwasher, microwave,carpet, tile and wood flooring. A very well maintained home. 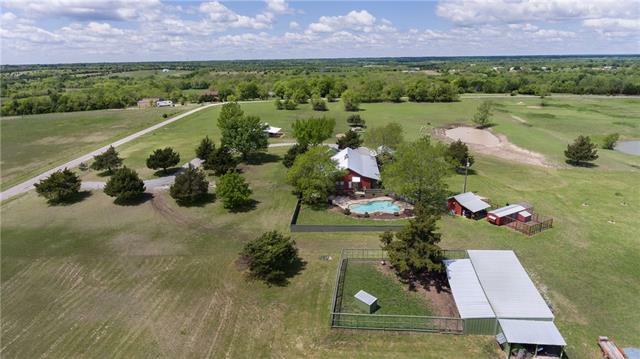 Barn has water and electricity, large riding arena,covered parking or use for patio, pipe fencing. All information is deemed reliable but not guaranteed. Buyer and Buyer's agent should verify all information. Adjacent 15 acres for sale MLS 14068475." 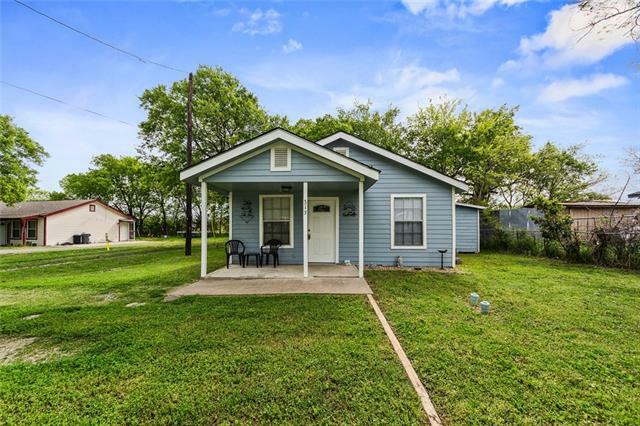 "Make this a great home or commercial investment!No deed restrictions! HORSES WELCOME!Property includes several out buildings that can serve as different uses or extra parking.Office building has separate electric meter & septic. Beautiful hardwood floors in spacious living room. 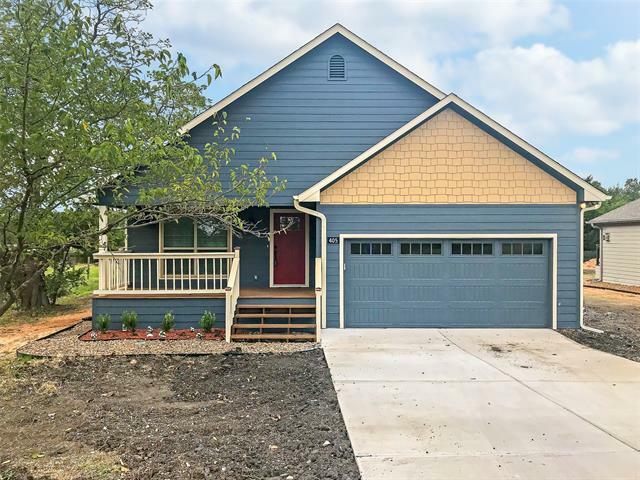 You'll love all the wood built in this nice home.Knotty pine cabinets in kitchen & walls in dining room.Recent improvements include:HVAC with heat pump 2018*Flooring 2018* remodeled main bath & updated other bath 2018*Re"
"Brand new construction in the heart of Trenton. Built by Gracy Construction with a farmhouse flair on pier and beam foundation with hardie siding. 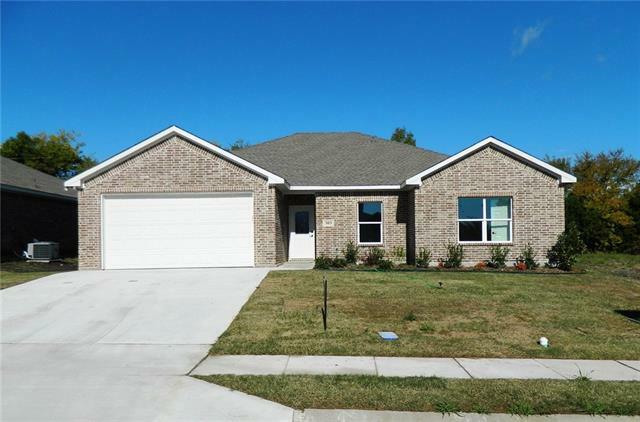 Four bedroom, two baths and two car garage. Open floor plan with living and kitchen. Features to include granite countertops, custom cabinets, luxury vinyl plank flooring and carpet in the bedrooms. Framing has just started, if you cntract early you can get in on color selections. 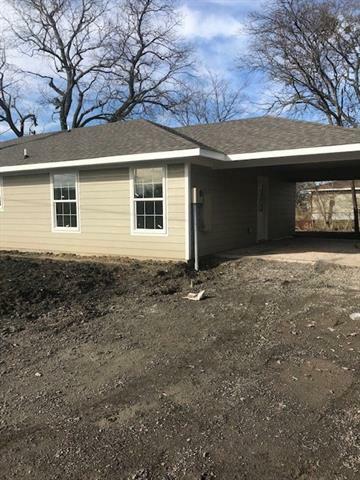 Enjoy small town living in this charming town with easy access to Hwy "
"Brand new construction in the heart of Trenton. Modern farmhouse flair with with pier and beam construction and hardie siding. Four bedroom, two baths and two car garage. Open floor plan with living and kitchen. 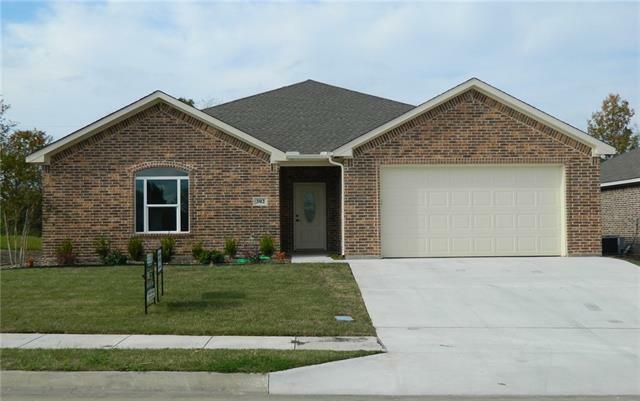 Built by Gracy Construction with features to include granite countertops, custom cabinets, luxury vinyl plank flooring and carpet in the bedrooms. Contract now to get in on color selections. Just now in the framing stage. Enjoy small town living in this charming town with easy access to"
"2018 NEW CONSTRUCTION 4-2-2 energy efficient brick home with 2045 square feet of living space, has foam wall insulation, blown in attic insulation, energy efficient low e windows, 15 seer Heat Pump, with air, Whirlpool appliances, ceramic tile, and carpet floorcovering. All outside doors, bathroom doors, and bedroom doors are solid core, and 36 inch width. Kitchen has granite counter tops, baths, and utility are marble. The home has covered porches, some landscaping, and gutters. The foundation"
"2018 NEW CONSTRUCTION, 4-2-2, Acme brick home, covered porches, engineered pier and beam post tension cable foundation. This home has foam insulation in the walls, blown in attic insulation, low e insulated vinyl windows, high efficiency central heat and air heat pump, ceiling fans, and energy efficient appliances, with boxed 9 foot ceilings, and decorative lighting. 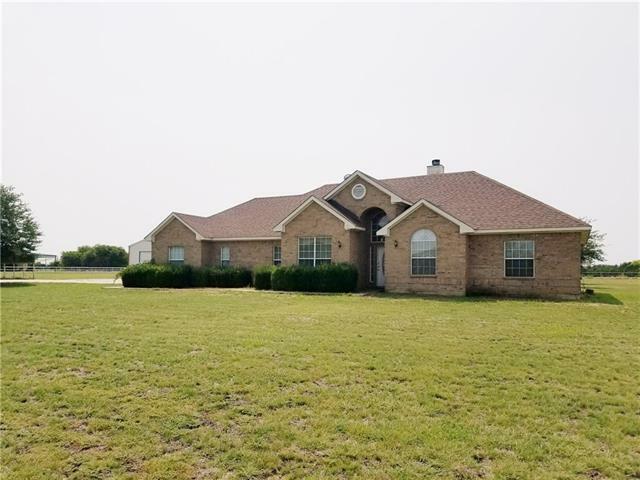 The huge open family room with wood burning fire place will make for a great place to spend the holidays this year, and many year"
"Welcome home to this beautiful peaceful country living brick home that features split bedrooms oversized living area with a woodburning fireplace. One side of the home has the master bedroom with a huge master bathroom. A jetted garden tub with a large window for natural light. Separate shower and a large double sink counter to hold all your belongings. Other side of home has two bedrooms and in the middle a full size bathroom. oversized 2 car attached garage and sitting on 1.5 acres of beautifu"
"NEW CONSTRUCTION COMPLETE, 3-2-2 Acme brick home, which features a large open living area, kitchen, and dining area, with WBF, boxed ceilings, decorative lighting, covered porches, granite, and marble kitchen and bath counter tops. This home has an engineered post tension cable, slab with piers foundation. The home has foam insulation, with attic blown in insulation, ceiling fans, 15 seer heat pump with air. Bathroom, bedroom, and exterior doors are all solid core, and are 36 inches wide. The op"
"This charming home with white picket fence in the front yard is move-in ready with lots of updates. Kitchen totally updated with granite counter tops, stainless steel appliances and walk-in pantry. Interior freshly painted, new carpet and ceiling fans in all bedrooms. Updated low-e windows, blinds and radiant barrier helps keep the house cooler. Built-in entertainment center. Wood-burning stove efficient in keeping the house warm & electric bill low in the winter. Huge backyard with storage shed"
"AMAZING ADORABLE 2 BEDROOM, 1 BATH HOME RECENTLY REMODELED. NICE KITCHEN WITH BREAKFAST BAR, CRISP WHITE CABINETRY, TOPPED WITH NEUTRAL LAMINATE COUNTERTOPS, GAS RANGE, AND EAT IN BREAKFAST AREA! LARGE BATHROOM WITH MEDICINE CABINET, VINYL FLOORING AND STORAGE! GREAT LOT WITH PLENTY OF ROOM TO ENTERTAIN! WOOD DECK IN BACK!"